It is the end of shorebird season. The signs and fences have been removed, the netting rolled up, our small warden’s hut taken away – and we look out upon just another stretch of beach, indistinguishable from that 100 metres to the north or to the south. 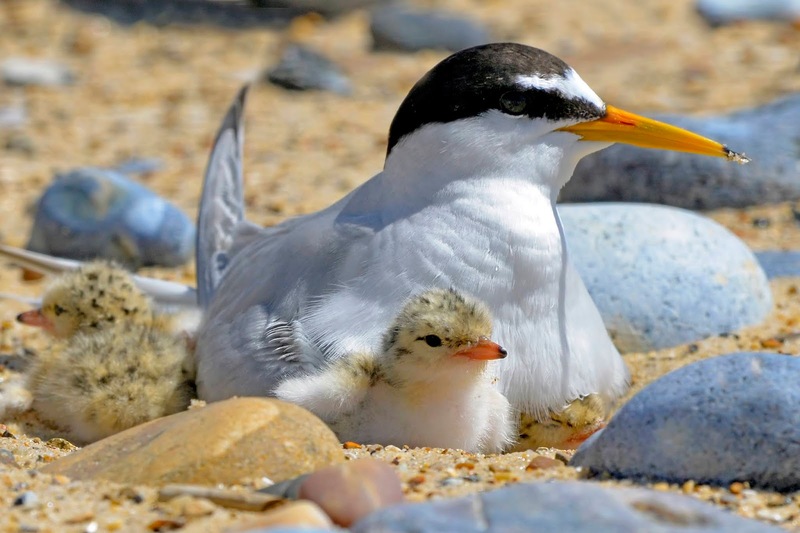 For the past three months, this small area of dune, sand and sea has been the centre of our hopes, thoughts and fears – or one of the centres, for this season we protected five nesting sites for little terns and ringed plovers. Both species have seen declines in their breeding population in the UK, with a major factor being human and dog disturbance. Happily, efforts of reserve staff and volunteers, and the co-operation of walkers, have enabled these charismatic birds a small window of space and time to court, lay eggs, and rear chicks and fledglings. We fenced off areas of the shore across the reserve, chatting to locals and holidaymakers about the birds and the reasons for access restrictions. Look – we pointed – those are little terns! 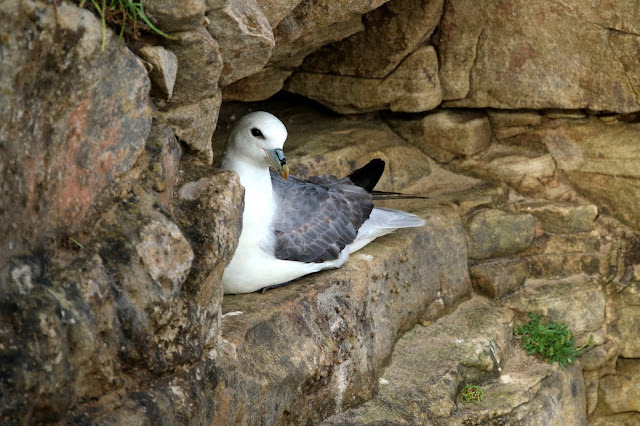 The UK’s second rarest nesting seabird. People squinted hopefully into the sky. Occasionally a little tern would oblige, fly near enough to point out the sand eel hanging from its bill. More often, they were visible only as a white dot on the sand or in the sky. We proffered binoculars. Some were fascinated; delighted to watch as a little tern fished in one of the tidal lagoons. Others were harder to convince of the need to close off areas of beach. 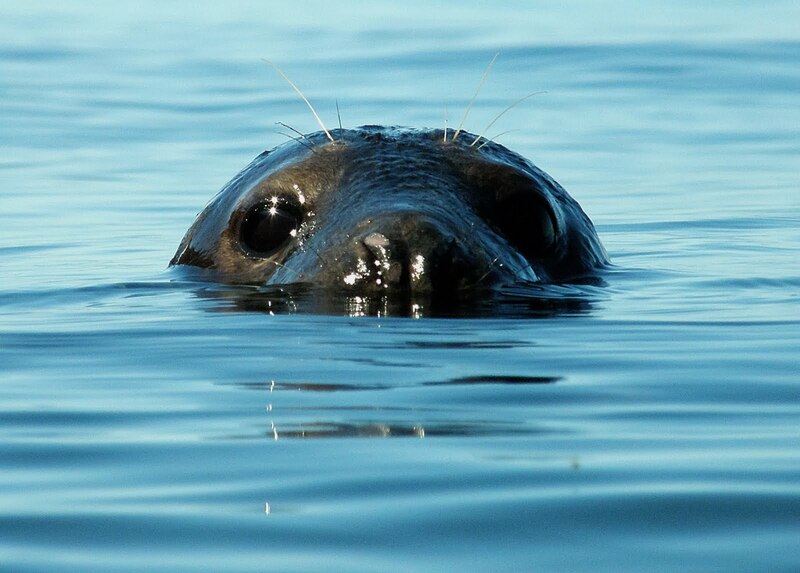 Yet we feel we must do what we can to protect these tenacious creatures, who travel so far to breed - from West Africa to Northumberland - and whose decline is attributable to changing human behaviour. There are so many more of us, for one thing - and fewer and fewer remote spots for these birds to safely breed. Some things we can’t change - the weather, for one; Storm Hector hit the little terns hard with both sand-blow and flooding. The tides - with tide tables and surge charts anxiously scanned. Aerial predation of chicks by gulls, kestrel and crows, whose presence we noted but could not alter. But we can speak to people - show them the nesting sites - try to share what it is we find so special about these birds. It’s hard to describe what it has been like here. This patch of sand and sea rocket, fenced off by yellow netting, bordered by the sea. Those small grey-white terns – a black cap raised briefly from a scrape. Those sand-coloured chicks against sand, so still and then suddenly frantically flapping for food. The ringed plovers, such loyal, concerned parents, and their chicks like fast-moving pom-poms on stilts. The sites have seen some high drama. Fish-waggling courtship, love triangles, high-speed aerial battles, tempests, flooding, mortal peril. Shakespeare couldn’t write it better. Our little terns will soon farewell the Northumberland coast, making their way back towards West Africa for the winter. With the adults will fly an additional 17 juveniles, making the journey for the first time. The ringed plovers may move south or choose to overwinter here – but they too have grown in number; with new fluffy pom-poms becoming doughty fledglings. This is what we have been working towards. It’s a strange feeling; the end of shorebird season. Our gaze, so tuned in to these small areas of beach, expands – the reserve has 3,500 hectares, covers 65km of coastline. Soon the geese and waders will come to overwinter here – 50,000 migratory wildfowl will fill the reserve. We stack the fence poles in the reserve yard, untangle the netting and roll it up neatly. Some will be used this autumn, as we graze the dunes with sheep leased from a local farmer. We empty sand from our pockets and our shoes; look forward to the next chapter of life on the reserve.